Happy Friday!! Who's ready for the weekend? Now that it's officially February, I've started some Valentine decorating. 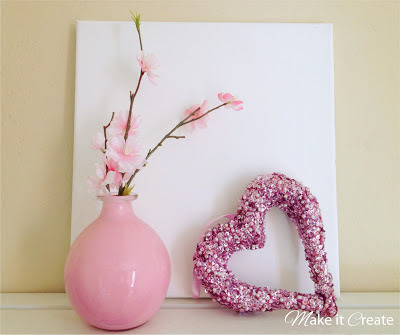 I was able to reuse a few pieces from last year to create Valentine decor for a shelf. Last Spring I decorated a few glass jars and vases to have around the house in my Spring decor, and I particularly liked this glass vase I painted. I had also picked up a few inexpensive heart wreaths from Michael's last February, so I incorporated one of those onto my Valentine shelf as well, along with a plain white 8x8 canvas that I have yet to do anything with. Simple, yet it adds a little pink and sparkle for Valentines. 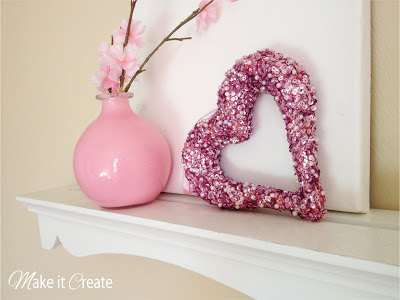 Having pulled a decorated vase used in last year's Spring decor, a Valentine wreath used last year, and a plain canvas I have sitting around...I created a "new" Valentine shelf! Old pieces used in a new arrangement. Always check your current stock prior to purchasing all new holiday or season decor! 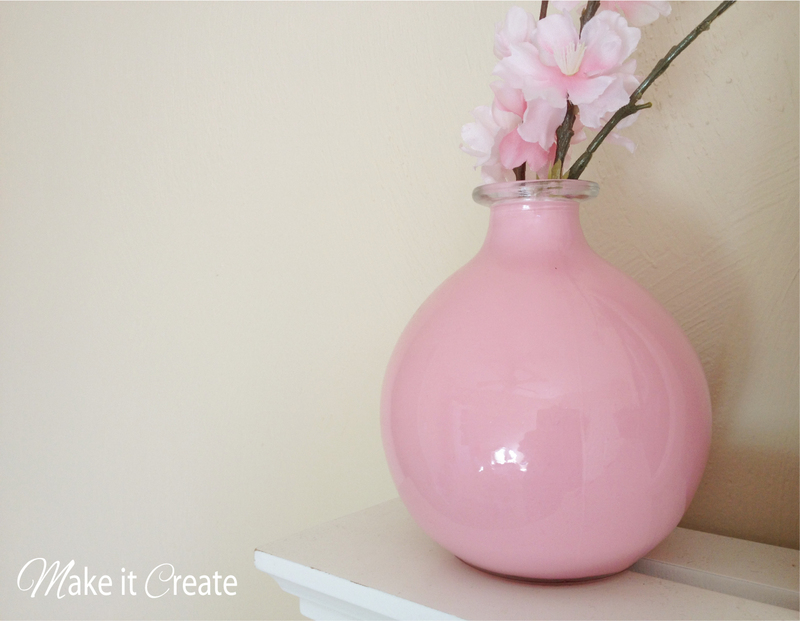 There may be a few pieces you can re-use in a new arrangement, which saves $$! That's always nice! 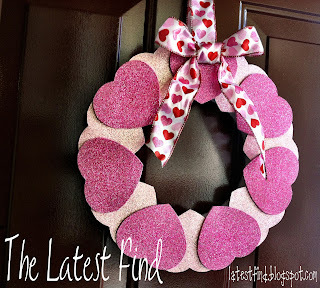 Check out our simple and in-expensive Valentine wreath project also! Smart phone users: dress up your phone for Valentines with some pink chevron!! Don't forget freebie Valentine printables, which you can find HERE! 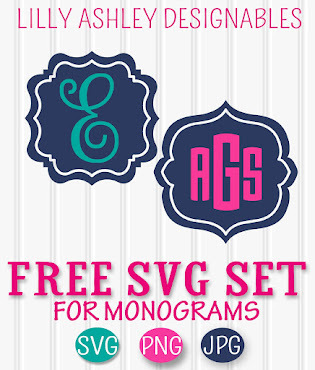 Website owners, find freebie Valentine decor for your site HERE! 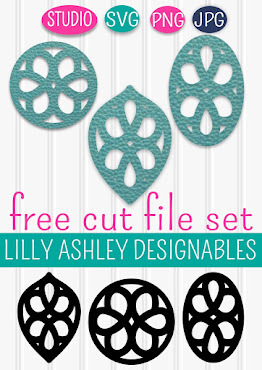 Be sure to follow us on Facebook/Twitter/Pinterest to stay updated on tons of freebies for download (such as printables and website accessories), and crafty decorating projects! More to come, check back soon!! 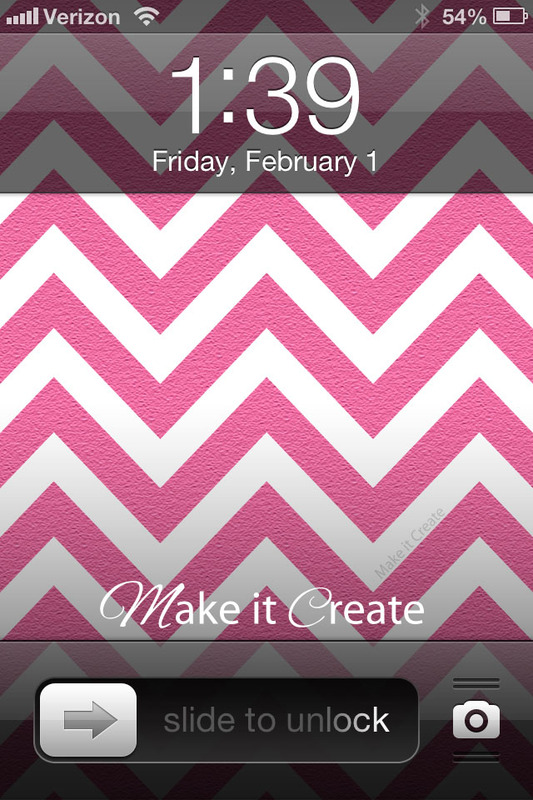 I love the Chevron screen savers and backgrounds. 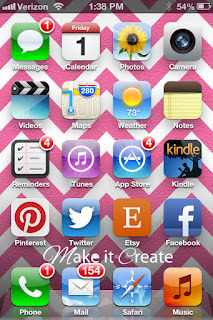 I downloaded the pink to both my computer, ipad & iphone. Thanks so much!! 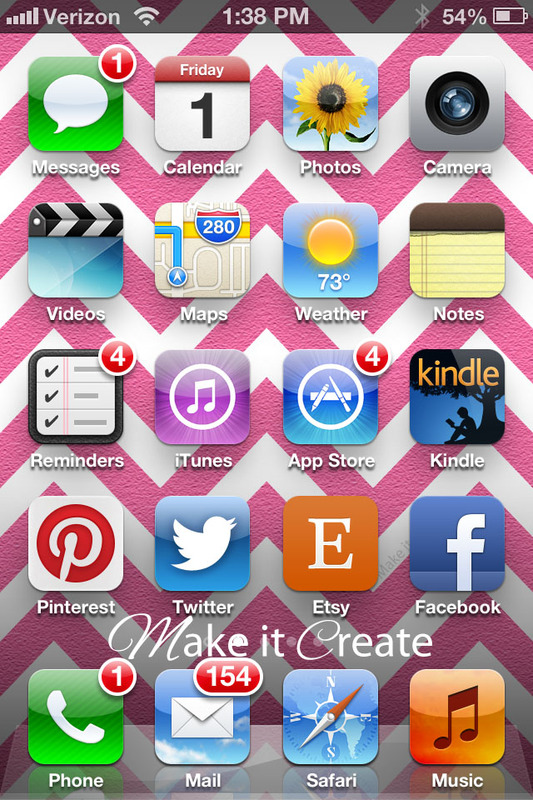 Love your pink decorations. 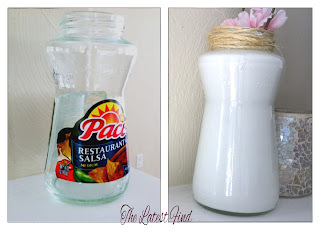 Thanks for the tip on salsa jars...didn't think about what I could use if for!! You are so full of awesome ideas!! Love the simple and elegant holiday touches. I love your pink mantel!